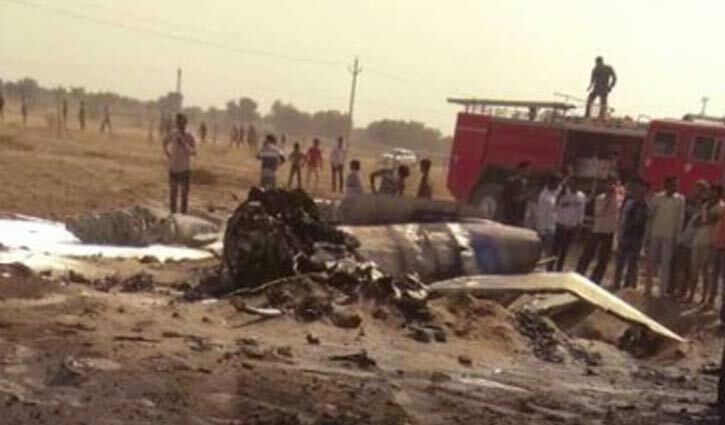 Desk Report: A MiG-21 Bison fighter jet belonging to the Indian Air Force (IAF) crashed in Bikaner's Shobhasar Ki Dhani area on Friday, a defence spokesperson confirmed. However, the pilot managed to eject successfully, he added. According to sources, the MiG-21 took off from Nal on a routine mission this afternoon when its engine developed technical issues. Initial inputs suggest that the aircraft malfunctioned due to a bird hit, the defence spokesperson said. Bikaner Superintendent of Police Pradeep Mohan Sharma said police teams have been sent to the site of the crash to cordon off the area. No loss of life was reported, he added. The cause of the accident will be investigated by a Court of Inquiry.